This Tsunami Cancellation Report is in relation to February 6, 2012 Earthquake with epicenter at Negros Oriental (Tayasan) at Intensity 7 and felt throughout Dumaguete City (Intensity 7), Argao, Cebu (Intensity 6), Cebu City (Intensity 5), Cebu Province (Intensity 5-6), Lapu-Lapu City (Intensity 5) with the estimated farthest reach at Pagadian City with Intensity 1. 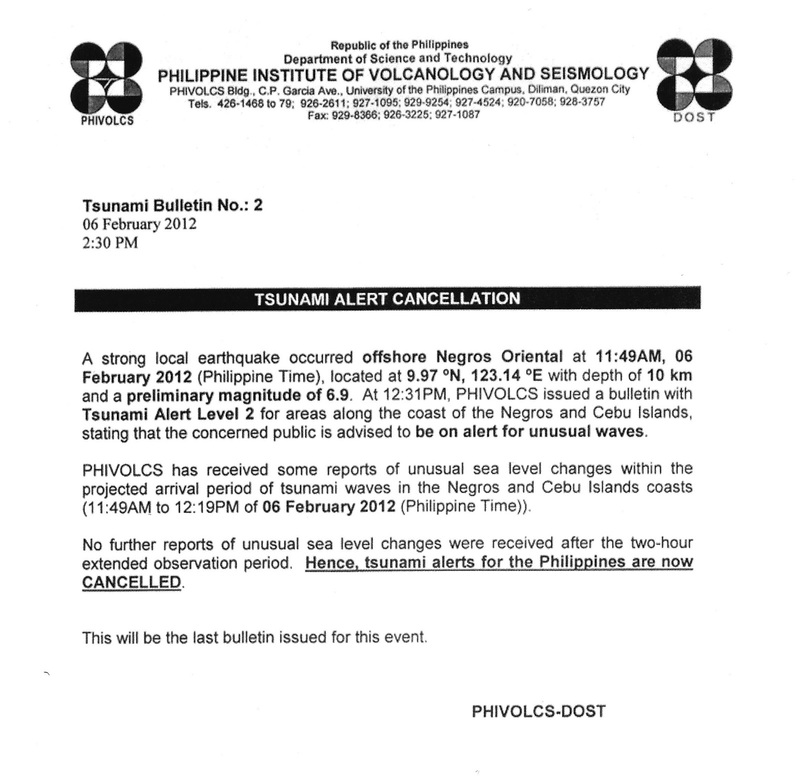 At 2:30pm February 6, 2012 Philippine Institute of Volcanology and Seismology-PHILIVOLCS has CANCELLED the TSUNAMI ALERT issued earlier due to the event. This will be the last bulletin issued for this event. 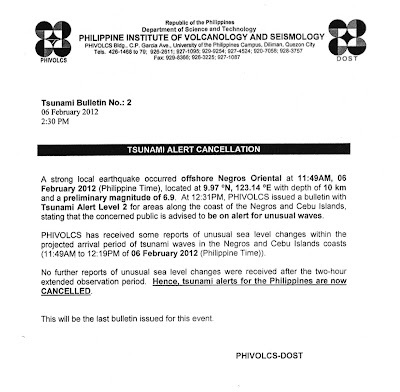 0 comments: on "Cebu - Negros Earthquake Update Tsunami Alert Cancellation by PHIVOLCS"